Journal of Business Forecasting columnist Larry Lapide is a longtime favorite of mine. 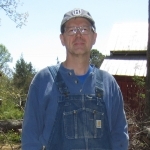 As an industry analyst at AMR, and more recently as an MIT Research Affiliate, Larry's quarterly column is a perpetual source of guidance for the practicing business forecaster. 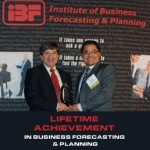 No wonder he received IBF's 2012 Lifetime Achievement in Business Forecasting award. In the Fall 2015 issue, Larry takes another look at the hot topic of "forecastability" -- something he first touched on in his Winter 1998/99 column "Forecasting is About Understanding Variations." In this formula, the Mean Absolute Percent Variation (MAPV) is simply the MAPE that would have been achieved had you forecast the mean demand every period. So when you compare the MAPE of your real forecasts to the MAPV, this provides an indication of whether you have "added value" by forecasting better than just using the mean. In spirit this approach is very similar to Forecast Value Added (FVA) analysis (which compares your forecasting performance to a naive model). As I discussed in The Business Forecasting Deal (the book), PVE is analogous to conducting FVA analysis over some time frame and using the mean demand over that time frame as the naive or "placebo" forecast. In short, we could never use the mean demand for the year as our real-life operating forecast, because we don't know what the mean demand is until the year is over! Steve Morlidge of CatchBull (see his presentation Managing Forecast Performance from the 2016 International Symposium on Forecasting and several recent articles in Foresight). Management is fond of handing out performance goals, and inappropriate goals can get a forecaster in a lot of trouble. So it is essential for the forecaster to understand what forecast accuracy is reasonable to expect for any given demand pattern, and be able to push back when necessary. Lapide argues that "sustained credibility" is the most important part of a forecaster's job review. This means management is willing to trust your analysis and judgment, that you are delivering the most accurate forecast that can reasonably be expected, even if the accuracy is not as high as they would like. Being able to explain what is reasonable to expect -- even it is not what management wants to hear -- can establish that credibility.